Yesterday, NASA officially announced that it intends to cease most work with the Russian Federal Space Agency amid growing tensions concerning the Ukrainian crisis. The statement came from Bob Jacobs, NASA’s deputy associate administrator of communications, who formalized the space agency’s position with a message sent to Universe Today, a copy of which was then posted on it’s Google+ message board on Wednesday, April 2nd. In the statement, they indicate that while the International Space Station will still see work to “maintain safe and continuous operation”, most work with Roscosmos (Russia’s federal space agency) will cease. In addition, they were sure to include a reminder to Congress, saying that they now face a choice between fully funding human U.S. launches again in 2017, or facing years more of sending money to the Russians for Soyuz launches from Kazakhstan. Given Russia’s ongoing violation of Ukraine’s sovereignty and territorial integrity, NASA is suspending the majority of its ongoing engagements with the Russian Federation. NASA and Roscosmos will, however, continue to work together to maintain safe and continuous operation of the International Space Station. NASA is laser focused on a plan to return human spaceflight launches to American soil, and end our reliance on Russia to get into space. This has been a top priority of the Obama Administration’s for the past five years, and had our plan been fully funded, we would have returned American human spaceflight launches – and the jobs they support – back to the United States next year. With the reduced level of funding approved by Congress, we’re now looking at launching from U.S. soil in 2017. The choice here is between fully funding the plan to bring space launches back to America or continuing to send millions of dollars to the Russians. It’s that simple. The Obama Administration chooses to invest in America – and we are hopeful that Congress will do the same. So far, it’s not exactly clear what activities would constitute “safe and continuous operation” of the station. So, for example, whether or not NASA will continue to send photographers to cover launches and landing in Russia, or to what extent NASA TV broadcasts of Russian spacewalks would be affected, remains to be seen. And in the meantime, missions already scheduled for launch – such as Expedition 40, which will launch aboard a Soyuz spacecraft in May – are still expected to go ahead. 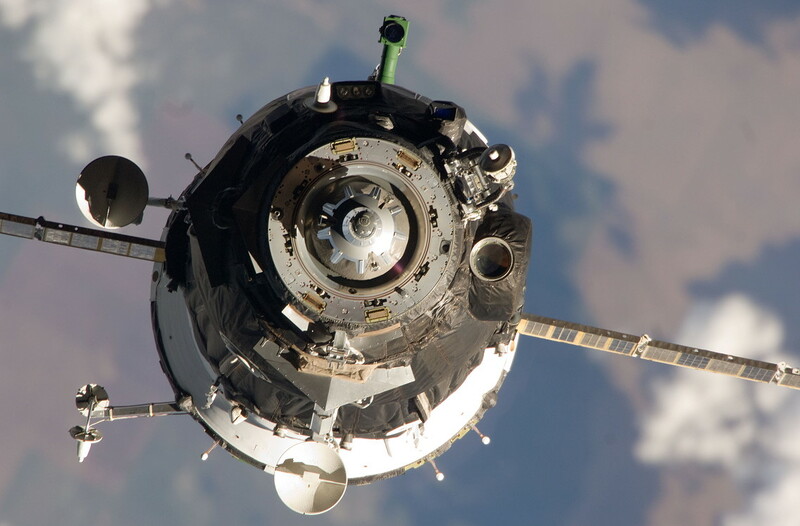 Since the Space Shuttle Program was retired in 2011, NASA and other space agencies such as the European Space Agency have relied on Russian Soyuz spacecraft to bring astronauts to the International Space Station. Crews are generally made up of large proportions of Russian cosmonauts and American astronauts, as well as a few astronauts from other agencies. The current Expedition 39 crew has has three Russians, two Americans and a Japanese commander, Koichi Wakata. The relationship between NASA and Russia stretches back to the 1970s when Russia was still the Soviet Union, with their first joint mission (the Apollo-Soyuz Test Project) taking place in 1975. The relationship expanded when several NASA shuttles visited the Russian space station Mir in the 1990s, laying the groundwork for the International Space Station agreement today. And 2011, that relationship expanded considerably, with Russian rockets not only transporting ISS crews, but also US and European satellites into orbit. NASA is working on a commercial crew program that right now is slated to bring U.S. astronauts back into space from American soil by 2017. There are several proposals being considered: a human-rated version of SpaceX’s Dragon, Blue Origin’s New Shepard, Sierra Nevada’s Dream Chaser and the Boeing CST-100. However, these depend upon continued funding and it is currently unclear how much money the CCP program will receive in the upcoming fiscal 2015 budget request before Congress. Historically, NASA has repeatedly received less funding than what it has requested, which has resulted in missions being delayed – sometimes by years. But the new tensions with Russia may alter that situation somewhat, and judging from their statement, NASA is counting on this very thing. In the meantime, International Space Station operations were extended to at least 2024, and NASA officials have pointed out that it and similar agreements have weathered other world crises. The Walking Dead – Season Four Finale!